All BULVERDE 3/ VILLAGES OF homes currently listed for sale in San Antonio as of 04/18/2019 are shown below. You can change the search criteria at any time by pressing the 'Change Search' button below. 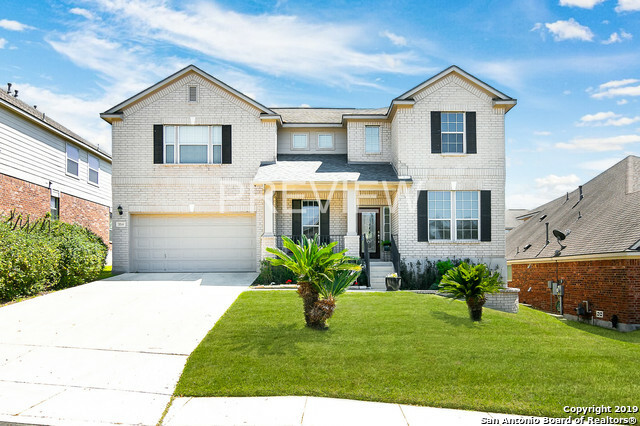 "WOW a Beautiful 4 Bdrm and 2 1/2 bath home that is meticulously cared for, A master suite with a fantastic seating area creating a ensuite that is everyones envy, the kitchen has solid counter tops which compliment the stainless appliances. The living room has a beautiful fire place and fans are in all rooms . The game room has a surround system for your enjoyment. The patio is tiled for easy maintenance and the home is ready for you to move right in and enjoy it from the easy move in."